An 8-year-old boy named Ricky finds a puppy on the side of the road and decides to adopt him without his parents’ permission. Mom and dad agree to let the puppy, Tako, stay under one condition: he must be a good dog and always follow the rules. 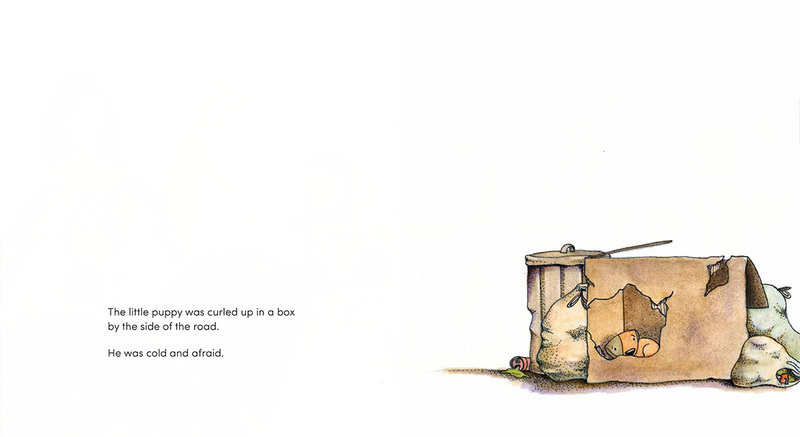 Ultimately, Tako and Ricky’s family discover sometimes you have to be a little bit bad to be very good. 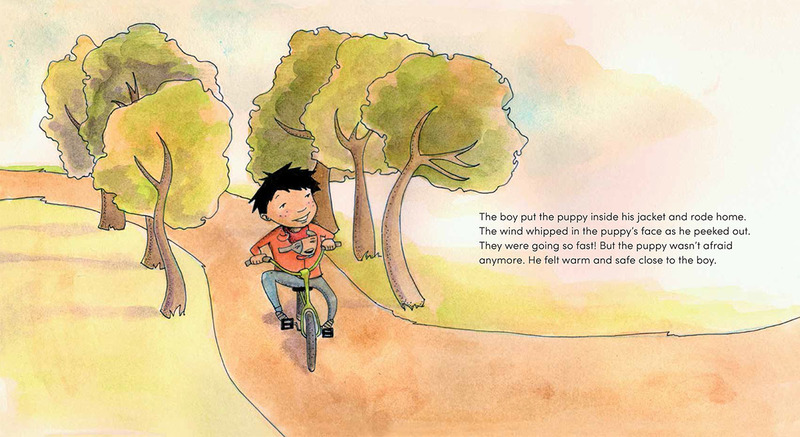 The Good Dog is a universal story which engages young readers and inspires a rich dialogue between adults and children. Educational Consultant Dr. Carolyn Strom has created this discussion guide for parents and caretakers. 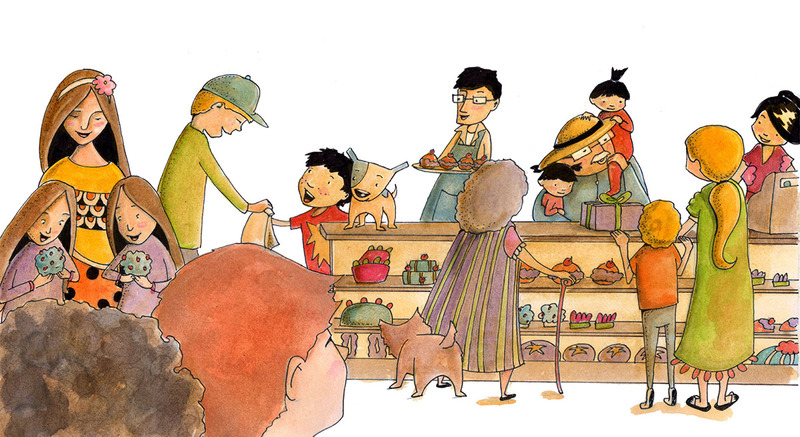 Click and download the free guide for ideas about how to make The Good Dog come alive in your home through discussion, dramatic play, and other activities. As parents, it’s our responsibility to lay down rules for our children, but there’s no rule that fits every situation. We must discover a deeper responsibility—to nurture our children’s own instincts for truth and fairness. 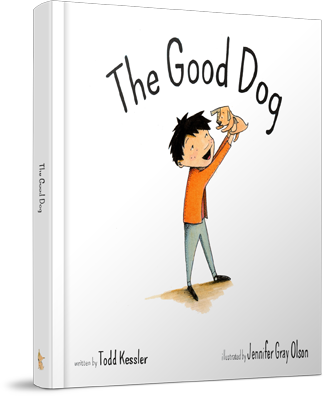 The Good Dog is an outstanding story that instills children with a sense of their own inner capacity for smart decision making. This heroic canine adventure is a powerful testament to the incredible human-animal bond. 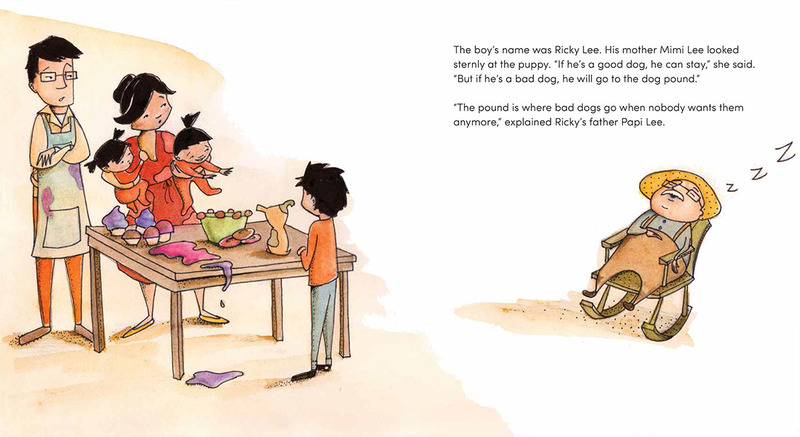 Readers of all ages will delight in discovering the tale of Tako and Ricky and will find themselves inspired by their triumphant friendship. 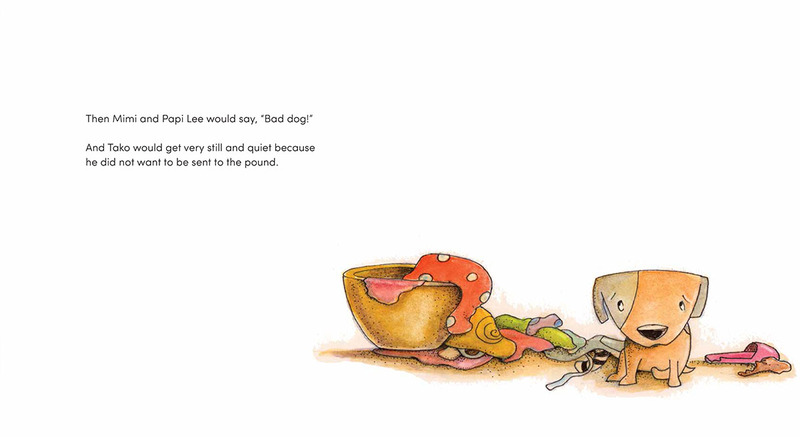 Children and adults alike will enjoy cheering for little Tako, a dog who reminds us that sometimes the “bad” dogs turn out to be the best—if we believe in them and listen closely.